Jostle has added a Twitter integration to its People Engagement® platform as a simple way for companies to share their corporate Twitter feed internally. Vancouver, Canada (May 17, 2016) — Jostle Corporation is excited to announce the addition of a Twitter integration to its People Engagement® platform. 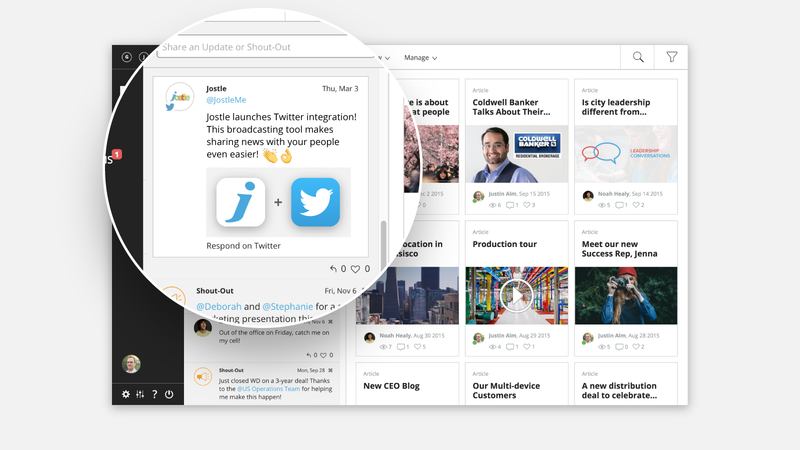 This new feature makes it easy for organizations using the Jostle® intranet to rebroadcast their outbound corporate Twitter feed to their own employees via their internal intranet. Jostle intranets are strictly private, allowing employees to freely share information without any concern that some content might be exposed to customers or the public. Therefore, the new Twitter integration does not include the option to compose new tweets from within the Jostle platform. The Twitter integration is a free option for all Jostle customers. If you are a Jostle customer and would like to initiate this feature, please contact success@jostle.me. Jostle Corporation is on a quest to make workplaces happier and more productive with our radically better employee intranet. We help companies satisfy the five workplace needs: purpose, culture, clarity, recognition, and trust. 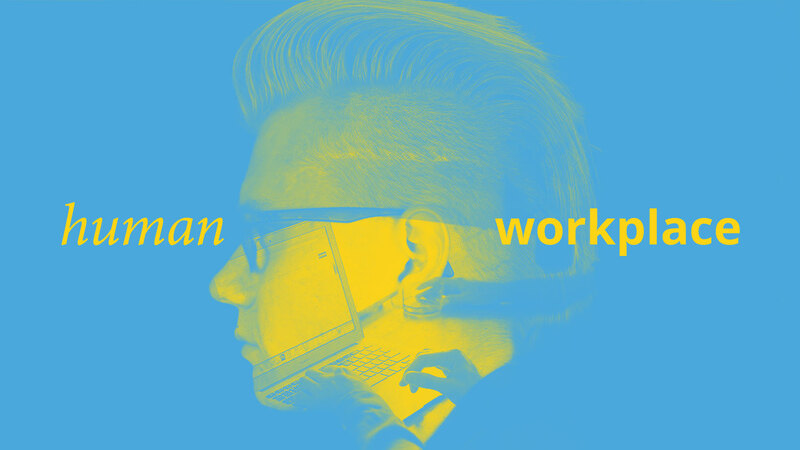 Our elegant, work relevant approach is achieving participation rates that are 5X industry norms. See Jostle's intranet in action in this short video. Don't miss the latest news from Jostle!